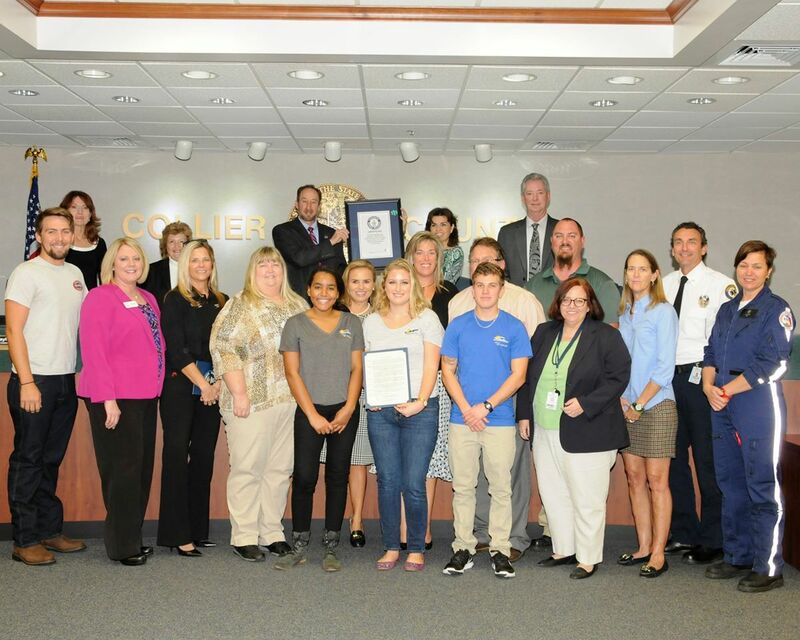 On Tuesday, January 27th, 2015 our Coalition received a proclamation by the Collier County Board of Commissioners for setting a new Guinness World Record for the largest swimming lesson ever conducted in a single venue on June 20th, 2014 at the Sun N Fun Lagoon with 1,308 participants. Sun-N-Fun Lagoon and the our Coalitionjoined forces to break the Largest Single Location record of 908 swimmers, set by Big Surf Waterpark on 2013 in Tempe, AZ. The Sun-N-Fun Lagoon and the Coalition successfully blew the previous record out of the water, with 1,308 swimmers participating thanks to the support of more than 40 Collier area agencies. Swimming is a life-saving skill for children and a vital tool to prevent drowning, the second leading cause of unintended, injury-related death for children ages 1-14. The World’s Largest Swimming Lesson™ was created to serve as a platform to help local community aquatic facilities and the many different national, regional and state wide water safety and drowning prevention organizations work together to tell this important story on a local and national level.